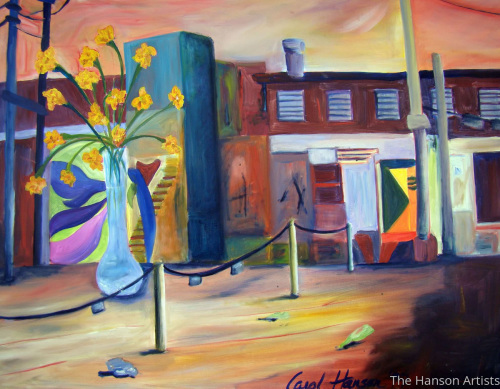 Years ago I experimented with combining streetscenes with still life ideas. 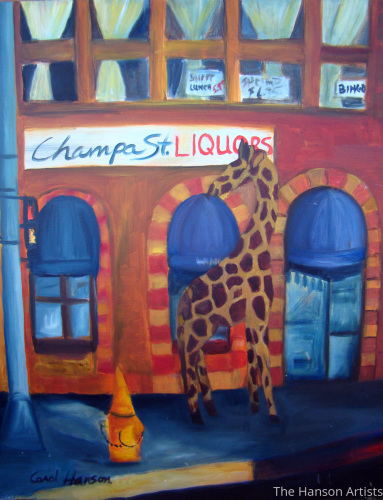 This one uses a giraffe form with a store front. 6.5" x 5"9" x 7"11.75" x 9"14.25" x 11"17" x 13"22.5" x 17.25"
We lived on a Navajo Reservation several years ago. 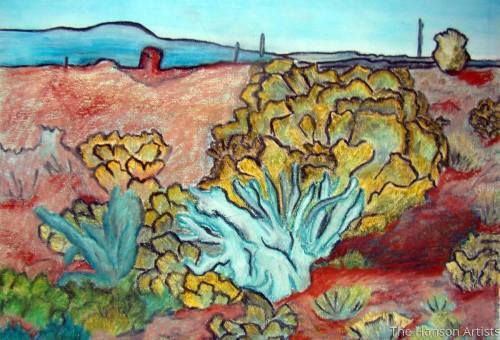 I was attracted to the sage brush and I found a beauty there, even though there was much barreness. 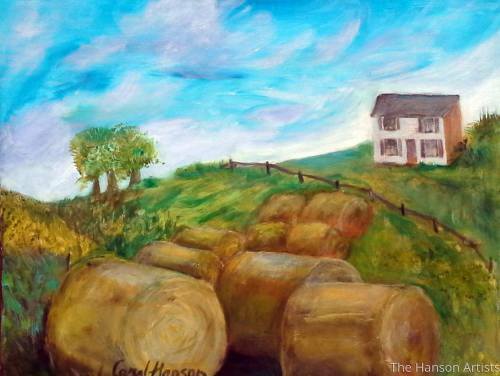 This is my depiction of a rural scene that I've seen many times before with hay bales and an old abandoned house on the hill. This is my first landscape in a number of years. 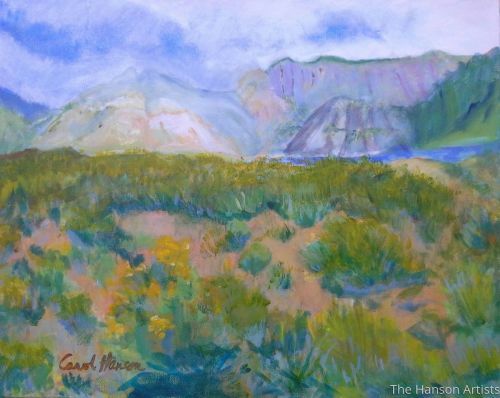 I have typically painted abstracts, but was drawn to the distant hills and sagebrush. I've always loved cats and bright colors. 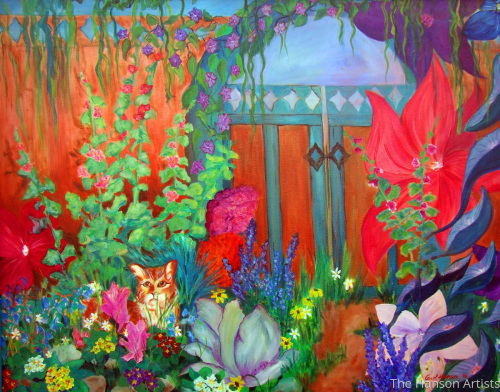 I wanted to have the cat nestled into the southwestern scene I painted, and show that it was at home amidst the hollyhocks and other flowers. 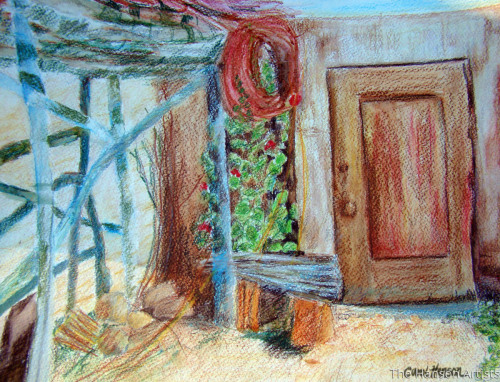 5" x 6.25"6" x 7.75"7" x 9"8" x 10.25"9" x 11.5"10.25" x 13"
I was given a box of watercolor pencils a few months ago and so I decided to paint a southwestern scene from some of my favorite photos. 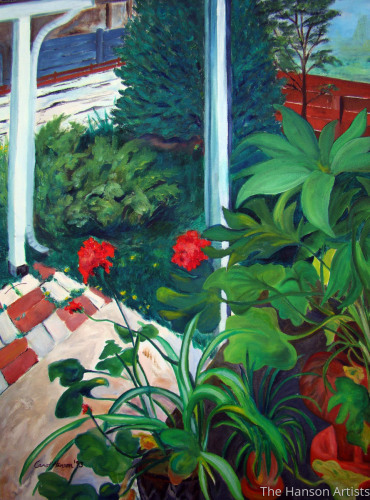 A previous home of ours had a sliding glass door and we had a large plant sitting beside it. It created an interesting concept of which side was out and which side was in. 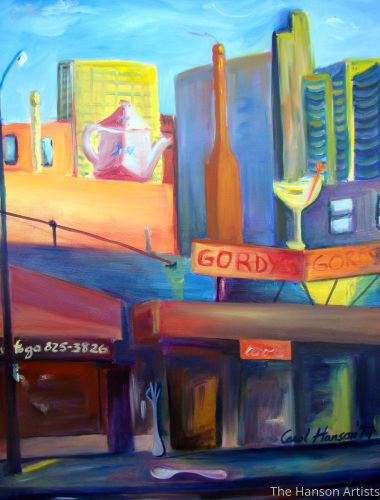 I began a series of oil paintings a few years ago of streetscenes. I wanted to incorporate some still life images and thought that using these images in the streetscenes, would create an unusual and interesting concept. 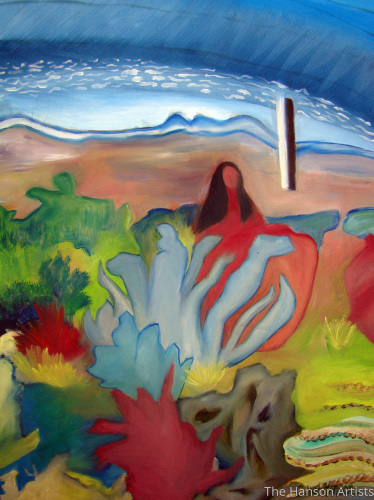 6.5" x 5"8" x 6"9.25" x 7"10.5" x 8"11.75" x 9"13.25" x 10"
This is a compilation of different things that inspired me while living in New Mexico. While it's abstract in execution, it still shows some of the imagery that was all around me. 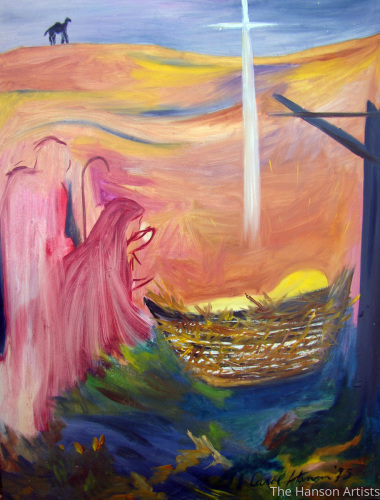 My interpretation of the Biblical Nativity story. 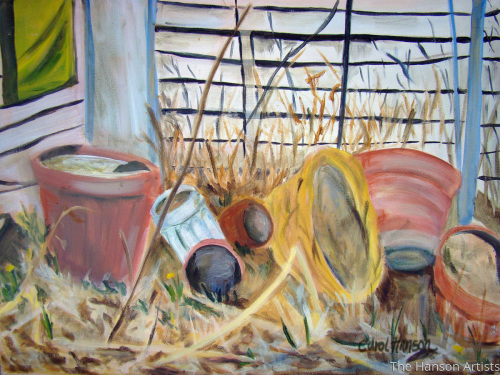 I noticed an interesting arrangement of old clay pots and other objects in our backyard several years ago. I thought this arrangement might make an interesting still life painting. 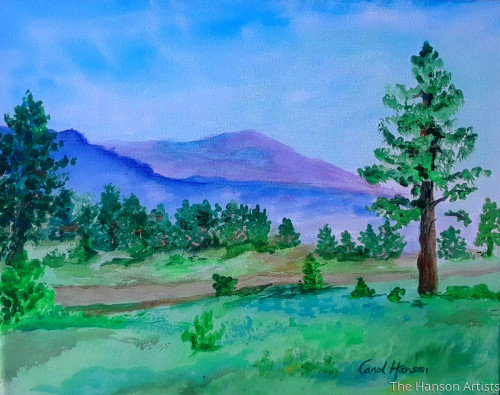 5" x 6.5"6" x 7.75"7" x 9"8" x 10.25"9" x 11.5"10.25" x 13.25"
This is a small landscape painting I did from a camping visit we took recently. It's a great place to get away, relax, and paint!